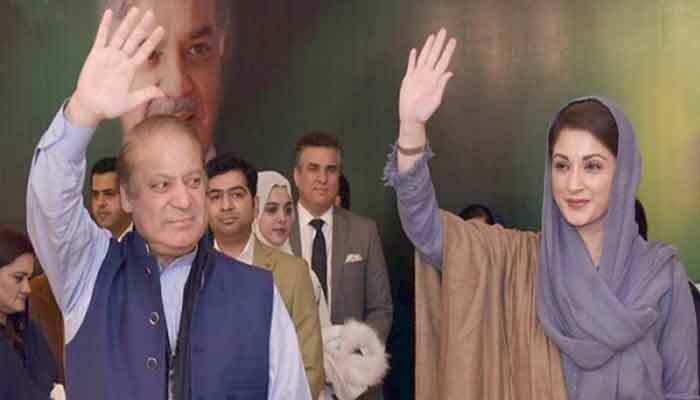 ISLAMABAD: Maryam Nawaz, daughter of former prime minister Nawaz Sharif, has responded to the Supreme Court’s dismissal of an appeal filed by the National Accountability Breau (NAB) against the suspension of sentence awarded to the Sharif family in Avenfield reference. In a message on Twitter, Maryam said that she was thankful to Allah Almighty for today's decision. She, however, said that true relief and happiness would be when her father came back home from jail. The former premier has been a serving seven-year imprisonment at Kot Lakhpat prison after being declared guilty of corruption in Al-Azizia case. Nawaz Sharif has already filed an appeal in the Islamabad High Court against the sentence. “I am thankful to Allah Almighty for today’s decision. The fact is that not for a moment was I concerned about myself. Insha’Allah true relief& happiness would be when my father comes back home. I have faith in Allah and His infinite Mercy. Thank you all for your prayers &support,” Maryam tweeted. A five-member bench of the apex court, headed by Chief Justice Mian Saqib Nisar and comprising Justice Asif Saeed Khosa, Justice Gulzar Ahmed, Justice Mushir Alam and Justice Mazhar Alam Khan Miankhel upheld the Islamabad High Court’s decision. Rejecting the appeal, the SC ruled that the anti-graft body had failed to provide the ground for bail cancellation and that the Islamabad High Court had not exceeded its authority in granting bail. “I am thankful to Allah Almighty for today’s decision. The fact is that not for a moment was I concerned about myself. Insha’Allah true relief& happiness would be when my father comes back home. I have faith in Allah and His infinite Mercy. Thank you all for your prayers ⊃port,” Maryam tweeted.